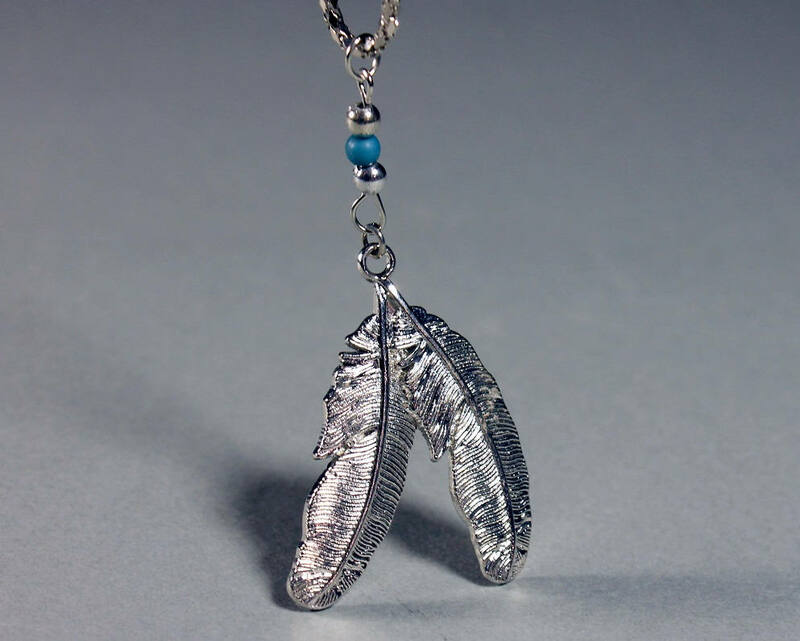 A beautiful silvertone necklace in the Southwestern Native American style. 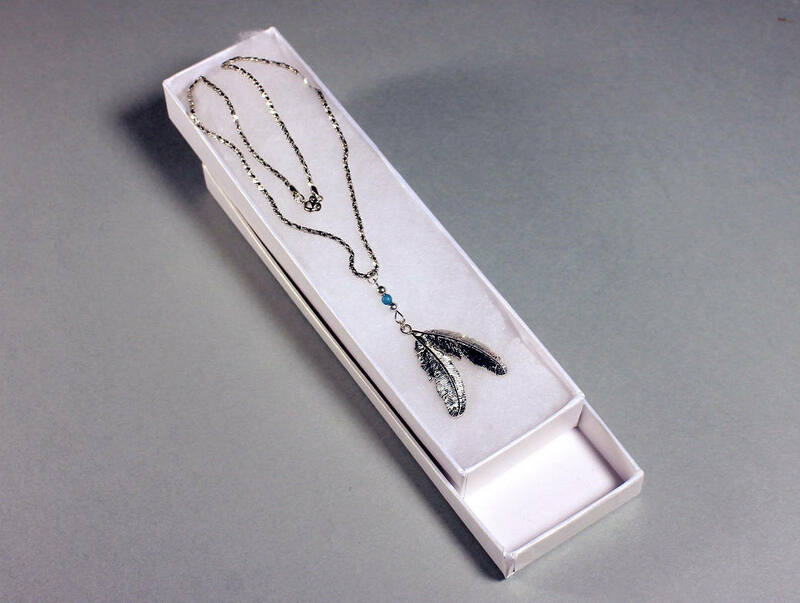 The pendant is a silvertone double feather with a turquoise bead and two silvertone beads above it. 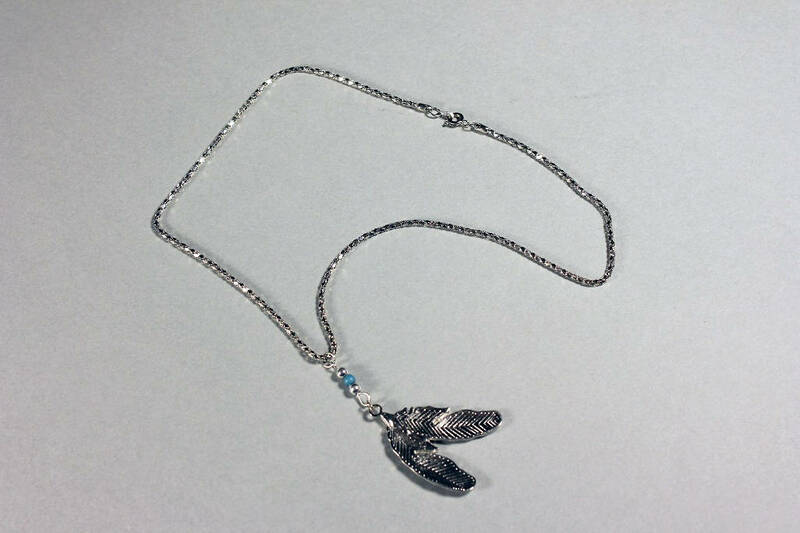 It has a box link chain with a spring ring closure. 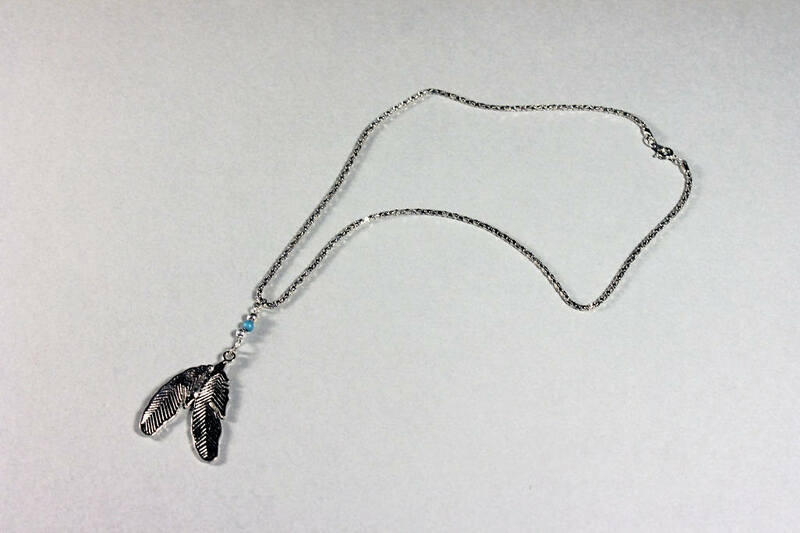 This is a unisex necklace and would be a wonderful gift idea. This is in excellent condition. 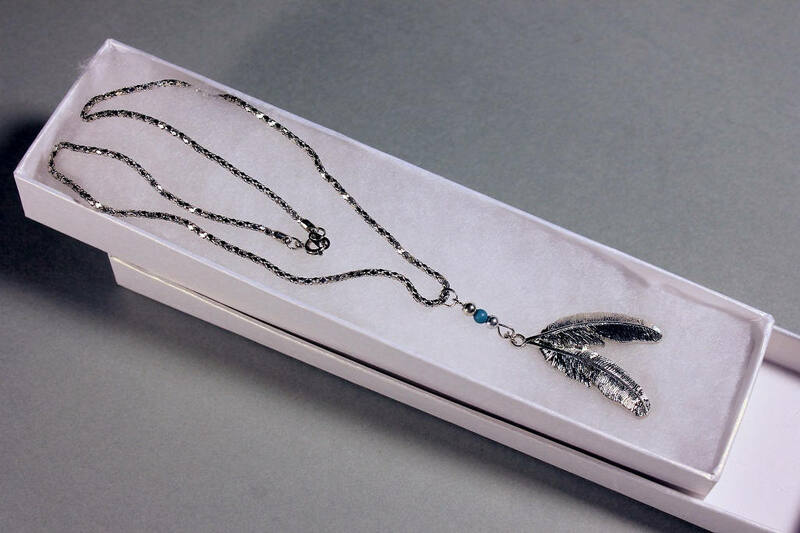 The feather pendant is shiny. The Spring Ring Clasp is in perfect working condition.